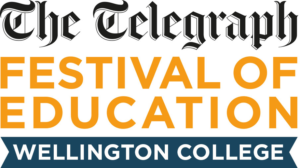 The LKMco team will be out in force at the Festival of Education and speaking on four different panels about topics ranging from SEND and Gypsy, Roma and Traveller pupils, to assessment and teacher development. You can also find members of the team in the Pearson tent throughout the event; if you pop in to see us there, you can share you views on the Future of Assessment. These short video interviews will feed into our ongoing “Testing the Waters” project. 1. Could better assessment underpin better teaching? Assessment serves many purposes, from providing ongoing insights into learners’ needs to defining accountability measures. Can we make assessment – and the conclusions we draw from it – better in the future? 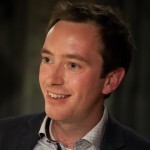 Will assessment technology drive more information, better insights and better teaching? Will all exams in the future involve a hall, pens and paper? Join the discussion. 2. Does anyone care about SEND? Are pupils with SEND bottom of the priority list in English education? This session previews findings of a major new study by LKMco and the Whole School SEND consortium. “Capturing the Zeitgeist” explores what educationalists do, or do not think about, when it comes to SEND and why. Less than 4% of Gypsy, Roma and Traveller young people attend higher education, making them the most severely underrepresented ethnic group at this stage of education. We preview findings from a new report for King’s College London, due for publication in July, exploring the barriers to educational success and HE access faced by this group. A discussion on how the teaching profession in England compares internationally and what policies could be put in place to improve the standards of professional development.